Haitian national Sanon Vertus, 37, was charged with attempting to use a visa which had not been issued by a lawful authority. According to the Immigration Office’s prosecutor, Vertus arrived at the Philip Goldson International Airport yesterday and Immigration officer Eldon August, who was stationed at the airport, escorted him to the Belize City office after he realized that Vertus’ visa, numbered V00076309, inside his Haitian passport, was a fake. While Immigration officer Gilroy Guzman interviewed Vertus, checks were being made with the office in Belmopan that confirmed that the visa had not been printed or issued by Belize authorities. 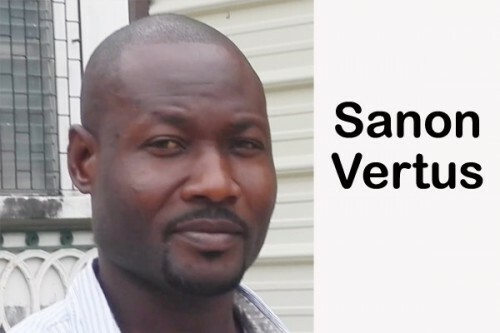 Vertus pleaded guilty to the charge and told the court that he paid someone in Haiti $150 US to get the visa for him. He begged the court not to send him back to Haiti because it would be hard for him to provide for his family. He told the court that if he sends $200 US to his family in Haiti, it would provide a substantial “living” for them, but he would not be able to make that kind of money there. Magistrate Clive Lino then fined Vertus $1,000 to be paid forthwith or he will have to spend six months in prison. A relative of Vertus who translated for him, told the court that she would contact his family and get the money for him. No removal order was signed for Vertus.